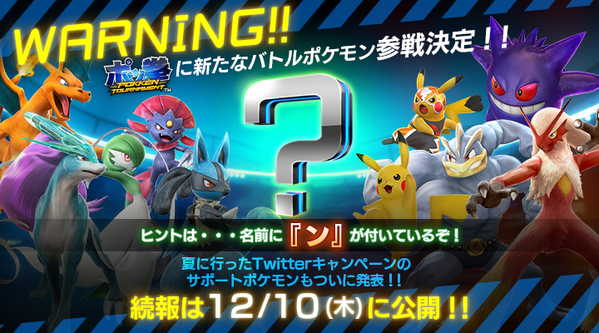 New fighter Pokemon is expected to be revealed on December 10th, alongside a support character. Please support our advertising campaign on Twitter. So who’s it going to be? Well, we’re not sure. Probably someone unexpected, given how few actual fighting types have been included in the title. Who do you think is being revealed for Pokken Tournament next Thursday?